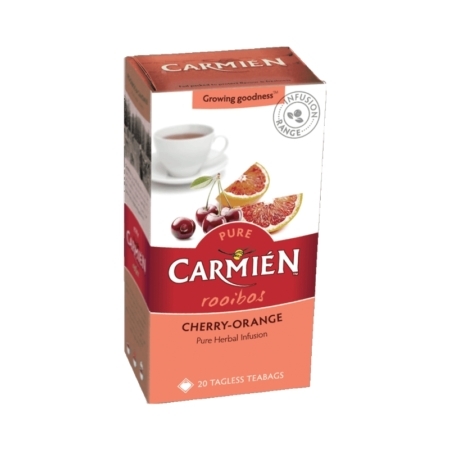 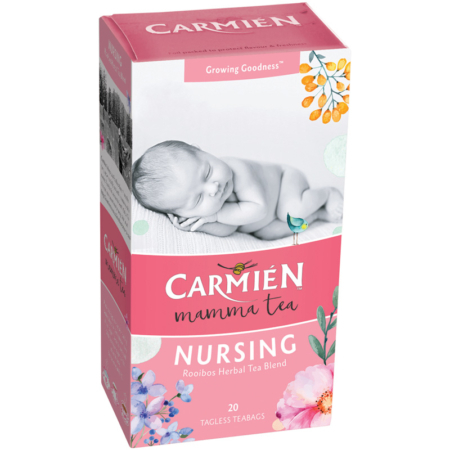 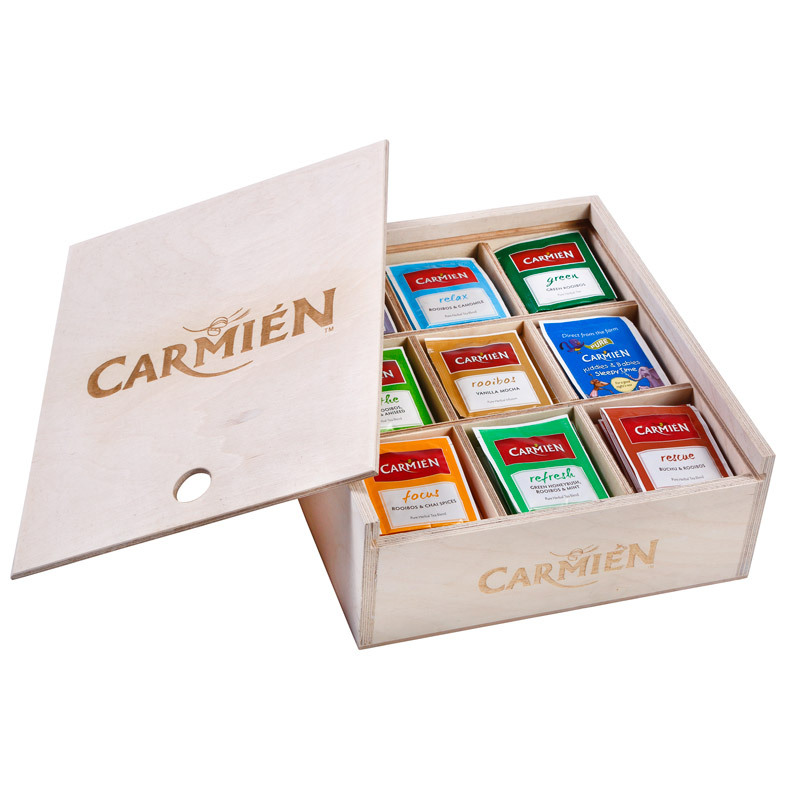 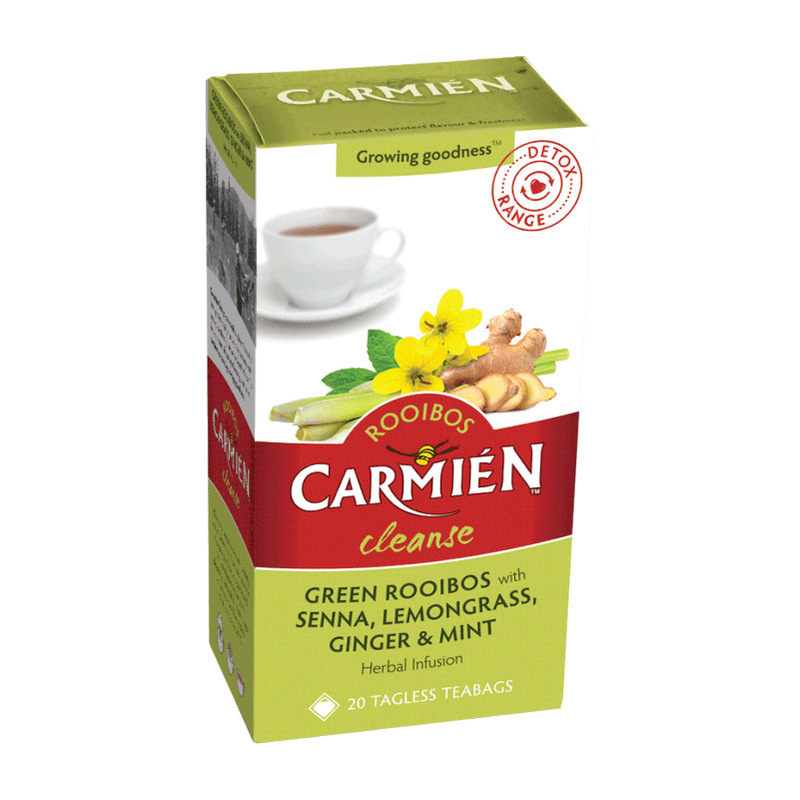 Carmién Cleanse is a perfect blend of green Rooibos, Lemongrass, Ginger, Mint and Senna. 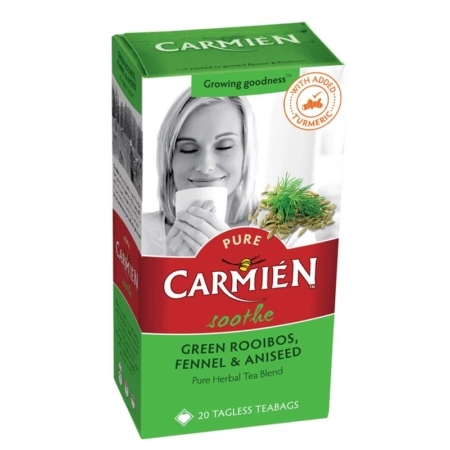 Enjoy this tea in the evening to cleanse the digestive tract. Senna is known to have a mild natural laxative effect and together with ginger and mint reduce bloating, while green rooibos contains abundant natural antioxidants.